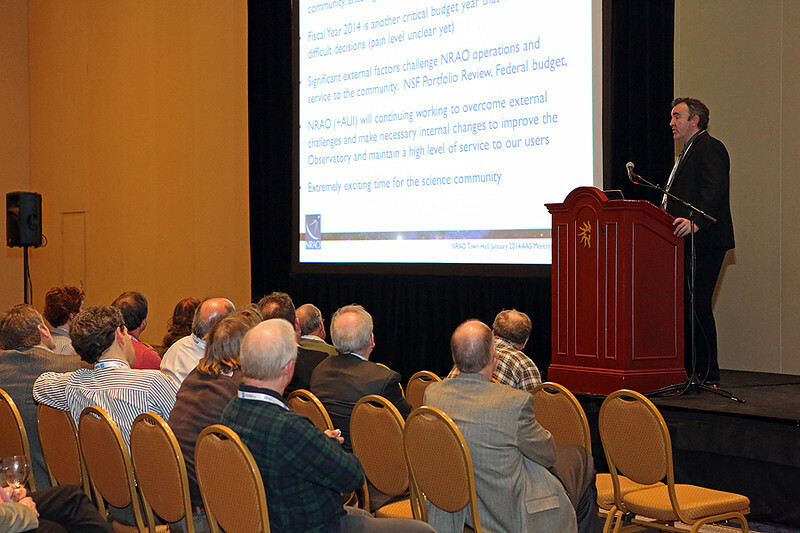 National Radio Astronomy Observatory director Tony Beasley spoke at the NRAO Town Hall on Tuesday. He reviewed the status of NRAO science and operations, development programs, and construction projects, including the Atacama Large Millimeter/submillimeter Array (ALMA), the Jansky Very Large Array (VLA), the Green Bank Telescope (GBT), and the Very Long Baseline Array (VLBA). Looming over the proceedings was the potential closure of the latter two facilities in response to the latest NSF Portfolio Review of US ground-based astronomy.